Mmmm... mouth watering carrots. We had these carrots for dinner last night alongside some grilled pork with my Caramelized Onion BBQ Sauce. 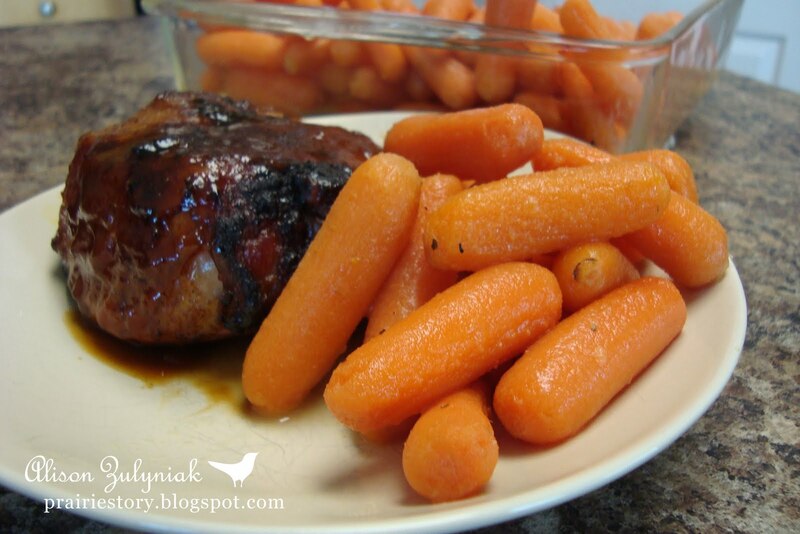 - Pour glaze over cooked carrots, gently toss to coat. - If you prepare carrots in advance you can apply glaze in sauce pan with carrots to warm it all up and serve. I am so glad you linked this to MMM because I have not made "candied carrot, in ages. I used to use brown sugar but this sounds so much better. Thanks for the recipe. Looks SO yummy! Thanks for linking up to This Week's Cravings!